Outstanding as always, the jacket is very comfortable and the cut allows it to sit open without being too snug. The side pockets are very handy yet inconspicuous and the two internal pockets are a useful addition. 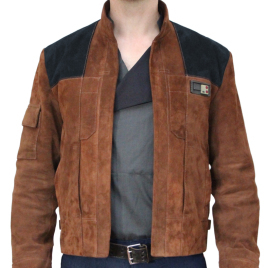 The material is very nice and adds to the authentic look of the jacket which, as usual, is satisfyingly screen accurate. I'm consistently impressed by Magnoli's ability to produce every piece of clothing I'm looking for after seeing it on screen, it's what keeps me coming back to them.